Taurus is trumping the carry gun market again with its 24/7 G2 Compact pistol. Available in a troika of the most popular personal defense calibers, the G2 Compact will satisfy anyone's requirements for either a primary or backup handgun. In other words, the pistol is neither too large for concealed carry nor too small for many law enforcement duties. This pistol's genesis resulted from the combination of the best features exhibited by Taurus' 800 Series, 24/7 Series and 24/7 OSS pistols. That's a lot of technology to stuff into a compact pistol, but Taurus has managed to do just that. The chunky little fighting firearm, while not as sleek or futuristic looking as the firm's excellent Slim 709 or 740 series, has a utilitarian attractiveness. The G2 Compact's trigger is most interesting. Chambering a round automatically places the trigger in the double-action mode. After the first round is fired, the pistol transitions to single-action configuration and remains in that condition until the last round is expended. The G2 Compact can be carried safely in either the double- or single-action mode. The thumb safety works in either condition to block the trigger and striker. However, if you push the safety down past its point of disengagement it acts as a decocker and will return the pistol to double-action status. When carried in the shorter stroke single-action mode with safety on, the double-action trigger serves as a restrike feature should it be needed. However, when either riding the safety with your thumb or flicking it off Safe it is very easy to unintentionally transition to double action before commencing the single-action trigger press. Incidentally, the thumb safety when engaged will not let the slide reciprocate. I found the longer double-action stroke to be smoother than its single-action stroke, and I got better standing offhand groups at 25 yards with in the former rather than latter. Also, the single action has a good deal of creep, which isn't too noticeable during rapid fire, but the trigger safety protrudes just enough to give the lever a sharp feel. The G2 Compact has dual controls throughout, and in addition to the previously mentioned safety/decocker, its frame features ambidextrous magazine releases and slide stops/releases. Taurus has convenient oval slots in the frame to provide a point of rest for the thumbs when firing one-handed and as a location to safely park the index finger when holding the pistol with finger off the trigger. Below the dust cover and in front of its enlarged trigger guard, a single slotted rail will accept small lights and lasers. The grip is ribbed and checkered with mild finger grooves or memory pads for a positive purchase and although not a full sized service sidearm, its backstrap is slotted for a lanyard attachment. The thick slide's blue carbon steel dorsal surface is flat but tapers off laterally into smooth angled surfaces that resume a vertical flat profile for the portion that mate with the frame. These angled surfaces are attractive and give the slide a scalloped "A frame" appearance as well as lightening it. Angled rear serrations aid in the weapon's manual of arms and bucking a trend toward forward serrations the slide is instead slightly relieved on either side for perhaps that purpose. The slide rides on steel internal rails, and its end cap houses a red-tipped striker status indicator. The external extractor is huge and has a monstrous claw to grab more of the case's rim for reliable extraction. Slide to frame fit is fairly tight with only a slight bit of movement and its ramped barrel is quite snug in its lock up. Aiding in that important endeavor, the barrel's muzzle is slightly larger in diameter to eliminate any sloppy slide to barrel fit at that location. The gun's three-dot sight setup includes a low-profile plastic rear notch sight that's adjustable for windage and elevation via slotted screws. The dovetailed steel front sight can be removed via Allen wrench screw. The G2 Compact comes with standard and a high-capacity steel magazines capable of being charged with 11 and 15 rounds respectively. 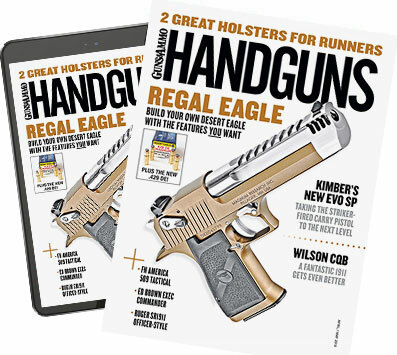 The standard magazine features a beefy and removable pinky rest and the high-cap tube has a removable polymer sleeve that fills in the gap between its base and the magazine well. The long tube's base pad resembles the pinky rest on the short stick. With the standard magazine pinky rest, a good grip can be established on the pistol, but the extended magazine affords more control. Both mags have orange followers and numbered witness holes. Ergonomics, especially with the extended magazine are good, and the piece handles recoil well. Muzzle flip is quite manageable and the pistol indexes a threat quickly. As noted, the biggest obstacles to fast and accurate shooting with the G2 Compact is the trigger. If Taurus could duplicate the trigger used in the well-received PT 709 Slim pistols, they would have a very impressive compact firearm. Smallest avg. group: 180 gr. Remington Bonded JHPâ€”1.2 in. Largest avg. group: 180 gr. Winchester Bonded JHPâ€”2.6 in. Avg. of all ammo tested (6 types): 2.0 in. Notes: Accuracy results are averages of five five-shot groups at 15 yards from a Hyskore pistol rest.